Let’s face it, close reading isn’t often a skill that comes naturally. When our students get a new reading assignment, their first instinct is often to race to the finish line rather than engage deeply with a text. Getting students to slow down, engage with the text in different ways, and reflect as they read are challenges for every teacher, and are the goals of close reading. 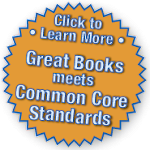 They’re also at the heart of the Common Core English Language Arts standards. There’s no magic way to turn your class into top-notch readers overnight, but there are specific close reading skills you can teach that will help your students now and down the line. In Harlem, NY, Mark Gillingham, senior researcher with the Great Books Foundation, watches a group of seventh-grade students reading aloud “The White Umbrella.” At one moment the narration becomes unclear and the students begin debating which character is actually speaking. Their genuine interest in figuring out who is speaking drives them to read, reread, and discuss the section. “This close reading of text that leads to authentic discussion is what the Great Books Foundation wants to cultivate in ALL readers,” says Gillingham. Nurturing these higher-level skills takes time and many different techniques. You can begin to strengthen close reading in your classroom with these eleven expert tips. As you teach close reading, it’s important that you know the text backwards and forwards. Every time you raise an issue or ask a question for discussion (e.g. “How do we know that Macbeth feels guilty?”), you’ll know how to help your students find the textual evidence and where it’s located in the text. Modeling close reading through your class discussion is as important as direct instruction in close reading. If your students leave your class understanding how to provide evidence from the text, consider your year an unqualified success. It’s the most central skill of the Common Core standards, says Elfreida Hiebert, president and CEO of Text Project. “The Common Core,” says Hiebert, “focuses our attention on what content the text is helping us gain.” Push students to go beyond recounting facts and plot points. As you’re planning, think about what higher order questions you can ask in class discussion and written assignments. After your students have read a text through once, help them dig deeper by setting a specific purpose for reading it again. That purpose could be to track a concept or theme, or to analyze how an author uses a literary element or creates tone. Giving students something specific to focus on requires that they return to the text and really focus. Even if students aren’t able to close read a novel independently, they can still apply strategies to a passage. Students may listen to an oral reading of the text, work in a small group with teacher support, or work with a partner to reread a text and prepare for discussion. If the majority of your class is not ready for independent close reading, keep in mind that the overarching idea is to get students to think about different ways that people can interpret text and build their own arguments around text, which can be done with picture books or read alouds as well as novels and short stories. Rather than asking students a myriad of comprehension questions, focus their reading experiences around connecting with and remembering the text. Plan and ask questions that help you understand if students understand the text, and where they need to dig deeper into the big ideas. Hiebert suggests focusing on how the text relates to what the student has previously read, and what else they might learn about the topic after reading this selection. If students are new to close reading, spend time modeling how to think about a prompt and how to annotate the text. You might want to use a document camera to project pages of the text and read through and annotate a passage around a central question, modeling your thinking. After you do a few pages, release the work to students and have them take the lead. If some of your students have clearly misinterpreted the text, ask them to explain their thinking or help you see the connection they’ve made. This gives them a great opportunity to practice finding textual evidence. Students may also chime in with other interpretations. The important thing is that students clarify and refine their thinking strategies, not that everyone has the same “right” answer. Once students are familiar with close reading in one content area, expand the process to other texts and content areas. Close reading can happen in science, social studies, math, and other subjects. Students can spend time delving into charts and graphs in science, discussing a math concept, or working to truly understand the various interpretations of speech in social studies. Here’s one technique to consider. During Great Books discussions, teachers start by compiling student and teacher questions that come from the text. Once the questions are compiled in a list, the teacher supports the students in reviewing all the questions, identifying ones that are similar and answering some of the factual questions that only require a short answer. Together, the class discusses the questions and decides which are the most interesting and worthy of further exploration. This is a great way to help your students learn to ask higher-order questions and to write good thesis statements. Samantha Cleaver has worked as a special education teacher and instructional coach, as well as an education writer and middle grade author. She is passionate about reading and literacy instruction, using technology in education, and connecting educators who are doing great things. Visit her web site.